The heat is on – again – in Gaza, as Israel tightens its siege and continues to kill and maim at will. If the two million Palestinians in the world’s largest prison camp – Gaza – were seen as humans by the world, the 11-year-long immoral siege on the tiny slither of land would be lifted immediately. Israel controls all access to the strip by land and sea, while Egypt joins in by regularly closing the Rafah crossing, denying the imprisoned population the right to the free movement in and out of their country that we all enjoy. There is no justification for Egypt’s closure of the Rafah crossing. The main commercial access from Israel, the Kerem Shalom crossing, was suddenly closed by Israel on 9 July, denying the strip of the vital means of life, including fuel, which powers the electricity generating station, reducing the supply of electricity to at most six hours a day. The distance fishermen could sail within to catch their fish was also reduced from six to three nautical miles. Palestinians are forced to buy drinking water at six times the standard rate from private companies because, according to experts, 97 percent of the water is contaminated by sewage and/or salt. Israel partially opened the crossing through which it “will be possible to transfer gas and fuel into the Gaza Strip, in addition to food and medicine”. However, fish swimming more than three nautical miles off the shore of Gaza remain safe. Gaza’s residents continue to bury their dead, with over 150 now killed since the start of the peaceful Great Return March four months ago, shot or bombed by Israel at the fence that separates them from their homes, from which they were forcibly transferred in 1948.
warned that Gaza may become uninhabitable in 2020. That is less than 18 months away but a quick search on the internet reveals no attempt to rehabilitate it or – as I wrote recently – to rescue its children. The suffering of Palestinians in Gaza has also been exacerbated by the continuing Palestinian division which shows no sign of ending. Recent months have even seen the Palestinian National Authority imposing sanctions on Gaza in an effort to yield concessions from Hamas. The changing geopolitical situation in the Arab world is also piling pressure on the Palestinians to accept what Arab leaders know the Palestinians could not accept as a resolution to their struggle for freedom, justice and equality. A resolution that is being cooked up between Tel Aviv and Washington. In short, Gaza seems to be under constant attack as US President Trump’s team develop the “ultimate deal” to bring peace to the holy land while laying all the blame for a lack of peace at the door of Hamas and none at Israel’s door. Any objective assessment of causes of the current situation would conclude that it is the lack of a just resolution to the conflict rather than the actions of Hamas or any other faction that causes the instability. 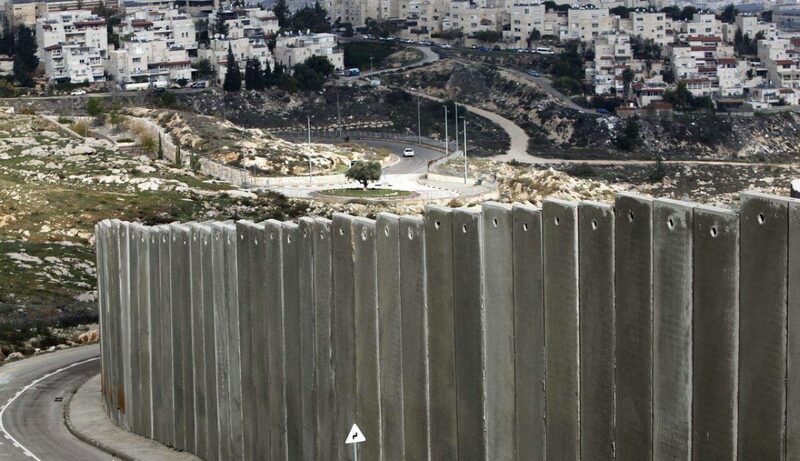 Israel continues to illegally occupy the West bank, East Jerusalem and Gaza and people under occupation have every right to resist until this occupation ends. Efforts to end the conflict through US-sponsored talks have thus far failed to bring the justice and security the Palestinians deserve, 71 years after Israel was created in their homeland and against their will. There are no signs that the current “dream team” put together by Trump to bring peace to historic Palestine will succeed. They are committed Zionists and firm supporters of Israeli policies, including the settlement enterprise. Jared Kushner is an assistant and senior adviser to Trump. Jason Greenblatt is an assistant to the president and special US representative for international negotiations. David Friedman is US ambassador to Israel. Each of them qualifies for Israeli citizenship. The Zionist trio wrote an op-ed in the Washington Post which, rather than setting out their vision for peace for the whole of historic Palestine, focused solely on Gaza and was essentially an attack on Hamas for Gaza’s ills, laying no blame at Israel’s door. In fact, it is revealing that their article made no mention of any of the ingredients which the international community has largely agreed would lead to peace, including a halt to settlement activity, a two-state solution with Jerusalem as a shared capital and a just resolution to the refugee issue. Clearly, the Nation State Bill, passed into law on 19 July and which claims the land of Israel as the Jewish homeland, giving any Jew from any part of the world a right to move to Israel, has helped focus the Trump team’s work on Gaza. Working in cahoots with Israel, it seems Trump’s team is leaving issues related to the West Bank to Israel and focusing on how to transform Gaza into the Palestinian state or perhaps more clearly the Republic of Gaza. Israeli hardliners will never accept the emergence of a state called Palestine but they could live with a label such as Gaza, perhaps expanded with land from the Sinai. While Israel would love to have the land of Gaza back as part of Israel, it would not want to have the two million Palestinians that inhabit it back with it. The rest of the Occupied Palestinian Territories, which Zionists call Judea and Samaria, is off the table. While Israel will continue to consider ways of emptying these areas – and indeed areas inside the Green Line – of the indigenous Palestinians, that is a longer term headache that it can work to resolve, including by transferring them to Jordan. In simple terms, if Hamas could be removed or convinced to accept the Trump deal, economic peace would come to Gaza. The level of naivety demonstrated by the Trump trio should not surprise anyone, as it is a true reflection of the dearth of experience in politics or diplomacy that their CVs reveal. Their politics come straight off Netanyahu’s desk, where – seemingly – the “ultimate deal” was drafted, just like the US policy on the Iran nuclear deal before it. Their diplomacy appears restricted to how they can convince the Gulf states to pay for the economic peace they think they can deliver. While the “ultimate deal” has not been released, elements of it have already been implemented: the US recognition of Jerusalem as the capital of Israel, the death of any meaningful two-state solution, and the threat to declassify the descendants of Palestinian refugees coupled with the systematic closure of the UN refugee agency. The United Nations Relief and Works Agency is under attack because the Israelis believe it “perpetuates” the conflict. In January, the State Department announced that it was withholding $65m out of its $125m interim aid package earmarked for UNRWA stating that “additional US donations would be contingent on major changes” by the agency. Downsizing its operations to deal with the resulting deficit UNRWA faces was cited as the reason for the dismissal of hundreds of workers in the agency’s emergency programme. This has led to major protests by UNRWA’s workers and one worker threatening to burn himself. Gaza’s beleaguered economy can hardly take another hit with UNRWA job losses and a reduction in its programmes, which provide vital sustenance, health and educational services. As the Freedom Flotilla makes its way gingerly to the Gaza shores to bring basic medical supplies and solidarity with the Palestinian people, Israel and America are working to force the Palestinians and Hamas to submit and accept their dictates or face further misery. The naive American trio will find that their immoral plans will fail as many before them have. Therefore, if they want a place in history as those who brought peace to historic Palestine, they need to come round to realising that once they see Palestinians as a whole, and those in Gaza in particular, as human beings with equal rights to Jews and others and not as a demographic threat to Zionism, peace is very possible. For the sake of peace that we all crave, it is not Hamas or Fatah that need to go, but the supremacist ideology of Zionism. – Kamel Hawwash is a British-Palestinian engineering professor based at the University of Birmingham and a longstanding campaigner for justice, especially for the Palestinian people. He is vice chair of the British Palestinian Policy Council (BPPC) and a member of the executive committee of the Palestine Solidarity Campaign (PSC). He appears regularly in the media as a commentator on Middle East issues. He runs a blog at www.kamelhawwash.com and tweets at @kamelhawwash. He writes here in a personal capacity.